Close Encounters of the Third Kind is coming to 4K UHD! I’m so excited that Steven Spielberg’s film catalogue is coming to 4K UHD. On September 19th, his famous alien film Close Encounters of the Third Kind will be released with a new 4K restoration in a 3-Disc edition with all-new bonus features. There is a collectible Limited Edition Giftset that will have illuminated packaging and actually play the 5-tone song that the aliens communicate to Earth. There is a big booklet included too along with all three versions of the film, being the theatrical cut, the Special Edition, and the Director’s Cut. Official Synopsis: In addition to the legacy bonus materials, the CLOSE ENCOUNTERS OF THE THIRD KIND Blu-ray comes with new bonus content, including rare, never-before-seen home movies and gags from the set, and the all-new featurette “Three Kinds of Close Encounters.” This featurette includes a new interview with director Steven Spielberg on the legacy of the film, as well as new interviews with directors J.J. Abrams (Star Wars: The Force Awakens) and Denis Villeneuve (Arrival) on the impact of Close Encounters. CLOSE ENCOUNTERS OF THE THIRD KIND is presented with an all-new 4K restoration, fully restored from the 35mm original camera negative, thereby utilizing in 4K the full resolution, detail and color depth inherent in the film. 4K Ultra HD brings the full power of this restoration into the home, featuring four times the resolution of high definition, high dynamic range (HDR)–which produces brilliant highlights, vibrant colors and greater contrast on compatible displays. The Blu-ray will also utilize this new restoration at HD resolution. Both 4K Ultra HD and Blu-ray versions will feature all three versions of the movie and the original restored 5.1 DTS-HD MA audio. Richard Dreyfuss (Jaws), Teri Garr (Tootsie), Melinda Dillon (A Christmas Story) and acclaimed French film director François Truffaut star in the story of a group of people who attempt to contact alien intelligence. 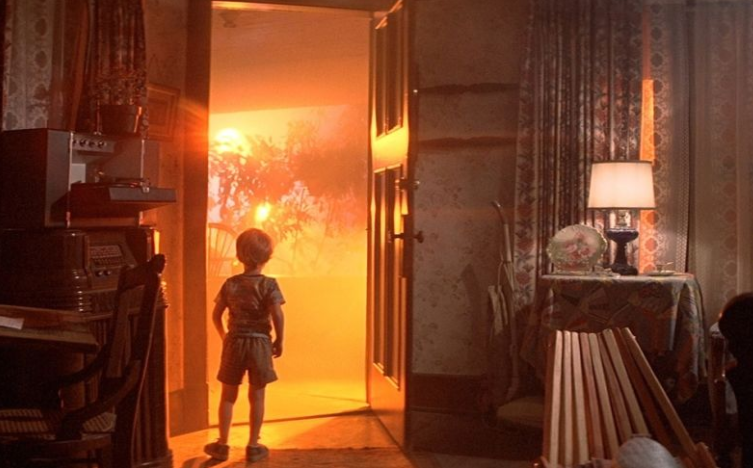 Nominated for eight Academy Awards®, including Best Director (Spielberg) and Best Supporting Actress (Dillon), CLOSE ENCOUNTERS OF THE THIRD KIND won for Best Cinematography (Vilmos Zsigmond) with Frank E. Warner taking home a Special Achievement Award for sound effects editing. Written and Directed by Steven Spielberg, CLOSE ENCOUNTERS OF THE THIRD KIND was produced by Julia Phillips and Michael Phillips. -New interview with Director Steven Spielberg on the legacy of the film, as well as new interviews with directors J.J. -Abrams (Star Wars: The Force Awakens) and Denis Villeneuve (Arrival) about the impact of Close Encounters. -Rare never-before-seen home movies & gags from the set of Close Encounters. CLOSE ENCOUNTERS OF THE THIRD KIND has a run time of approximately 135 min (1977 Theatrical Version), 132 minutes (1980 Special Edition), and 137 minutes (1997 Director’s Cut). The film is rated PG for some intense sci-fi action, mild language and thematic elements. This entry was posted on Friday, August 18th, 2017 at 6:01 pm	and is filed under Film, News. You can follow any responses to this entry through the RSS 2.0 feed. You can skip to the end and leave a response. Pinging is currently not allowed. « The Entertainment Answer Radio Show: August 12th, 2017! [after Anakin crash-lands The Invisible Hand onto a landing platform] Another happy landing.